All of the components are housed in the Fractal Design Core 1500 mATX mini-tower. This case is an affordable option that has front panel USB3.0, room for full size graphics cards, and cutouts in the motherboard tray for easy cable routing. For our power supply, we're using a parametric selection of well-reviewed fully and semi-modular units, all of which are 80+ Gold certified and provide more than enough power for this system. Great build but I just wanted to point out that the 380X is not an updated version of the 280. The 280 is a Tahiti chip which was the same chip used in the HD 7950 and uses the GCN 1.0 architecture. The 380X is a Tonga chip like the r9 285 and r9 380, except it has more shader cores. These updated chips use the GCN 1.2 architecture, a more recent architecture than even the GCN 1.1 Hawaii/Grenada found in the 290s and 390s. Any reason you went with that rosewill unit and not a seaSonic M12II? Very little difference between 380X and 380. Dropping down to 2TB gets you a much better motherboard. 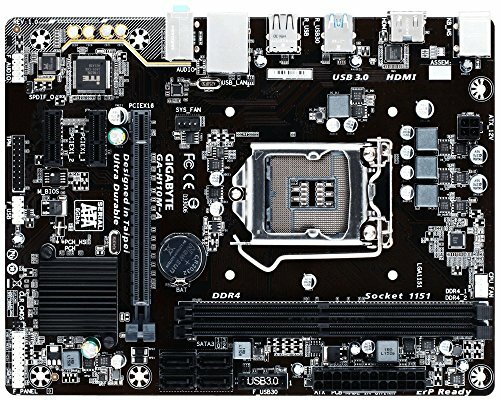 I'm new to building computers and I am going to this summer does this one connect to WiFi or would you suggest adding anything to this build? You would need a wi-fi adapter. I'd recommend getting an ethernet cable, provided your modem is >10 from your PC. Only very high end motherboards have wifi., so no this does not have it. You can buy wifi cards, and I believe some are listed on this site. Sorry, completely new to pc parts and building pcs here, would you be able to connect to a modem without a wireless card, or do you essentially need one if you aren't running an ethernet cable? Would this be ok with out a CPU cooler of some kind? Other wise I am thinking of recommending this to a few friends of mine. The stock cooler that comes with the CPU is perfectly capable for this build. Excellent thank you! I think I am going to slap a cheap optical drive in this and call it good to go. what would you change (with out overclocking) to this build to improve and possibly a $800 budget? How good would this build be able to run GTA V? Max settings and 40+ FPS? Or would i have to upgrade the graphics card/processor to reach this? Would a build like this be good for 3D animation and modelling and also be capable of running newer games like Overwatch on at least high settings? Awesome build! I'm considering using many of the same components for my own which I plan to start soon. However, I would like to see a pretty solid performance out of my build and am considering using the new RX 480. This is my first build and I've still got quite a bit to learn, does this seem like a good move? Would I see a decent performance boost? Or do I wait to see if there are any price drops on some older models. Thanks! Does that CPU include a Cooler or something? I was just comparing this to a budget build I have been putting together and I noticed I've got 25 bucks in there for a heat sink. 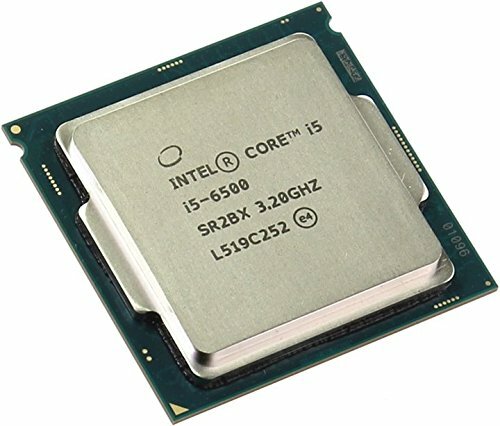 If so, does the i5-6600K also come with a factory cooler? Also, 20 bucks for a cd drive. I built a PC with a Gigabyte board last month and learned that some of there boards won't load windows on a USB drive without adding a special driver and going through a bit extra work . Granted you can still get it done as long has you have a licensed copy of Windows, which brings another issue in: What OS is being put on this build? I'm not trying to put this build down by any means, actually I'm here to try and find ways to lower the cost of this build for the person I'm making it for. but when I throw something like this together it is coming in over 800, so I am curious how you are overcoming those little price speedbumps. I have a few questions, because I'm mostly new to this. My budget is pretty high (like $1000) but I don't want to buy anything that isn't necessary for me. Basically, the only games I play are World of Warcraft, Diablo 3, Minecraft, etc. not any next-gen games. I want to be able to run those on the highest graphics with no lag, at about 60+FPS. Would this build be able to do that? And if not, what improvements would I have to make? Another couple questions about this build: how many USB ports would this have? is it compatible with ethernet or would I have to buy something extra? would it be able to fit an optical drive? i think i have to buy a soundcard in order to connect speakers, so would a soundcard be compatible with this build? does this build come with all the cords I'll need or will I have to buy all of those separately? Sorry that's a ton of questions, but I don't have a clue what I'm doing or even where to begin, so I appreciate any help! Thank you so much for your reply! That was very helpful and it makes my decisions a lot easier. Will definitely consider using this build now. Ouch! This comes in just over 900 CAD and our dollar is less than 80 cents. Ah I just looked and it's the motherboard. Looks like a typo. Question: Do you not need a CPU cooler in this build? (I'm a beginner) I watched many build videos and they all seemed to have included a CPU cooler in their builds. How would you go about differently? Different video cards?